Set the number of employees for all time periods for each day as required from business process, and thats all. Your help while the schedule is being created is not needed. Don’t stay behind your competition. We believe in automating everything, including automation. You do not create schedules with the help of the program, instead, the program creates schedules for you. Go mobile. See all reports online from your PC or mobile device. Using an advanced evolutionary algorithm, WoShi is capable of finding a solution for your every demand and request. The algorithm has proven to be successful in our school time table calculating program, ALGiT Time Table, which is used in primary, secondary and higher schools. Reduce the number of overtime hours with the same number of employees. 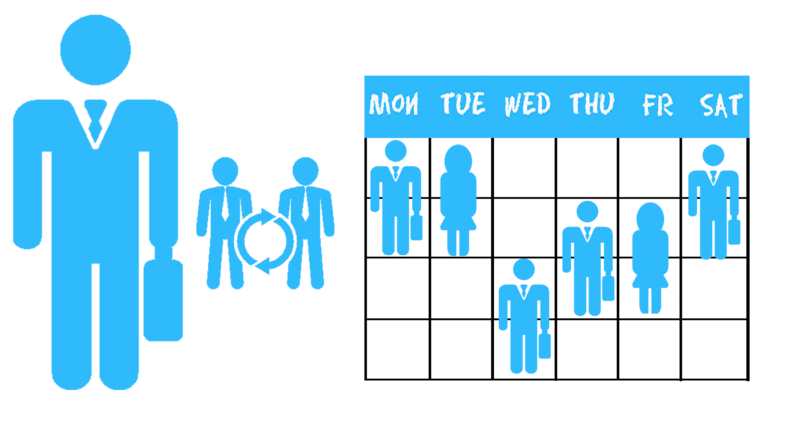 Set the number of employees for an arbitrary working period for each day in an arbitrary time interval, and WoShi will follow your demands. 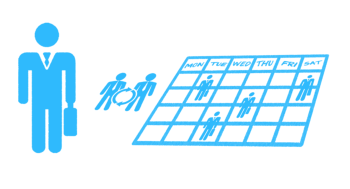 Adjust the schedules of your employees according to your needs and current situation. Follow them from anywhere; PC, mobile phone or tablet. Stay in control of your work with WoShi! Insufficient number of workers in turns WHERE and HOW to save? Scheduling is a problem for artificial intelligence.